I first became aware of Mr. Luong’s work while watching Ken Burn’s documentary, The National Parks – America’s Best Idea in 2009 where Mr. Luong was introduced as the first photographer to capture all 58 (at that time) National Parks with a large format camera. He is now close to completing a second trip through all 59! Since seeing the documentary, Mr. Luong’s work has served as an inspiration for my own quest to visit and photograph the parks and it is an incredible privilege to have been invited to review a pre-production copy of his latest book. 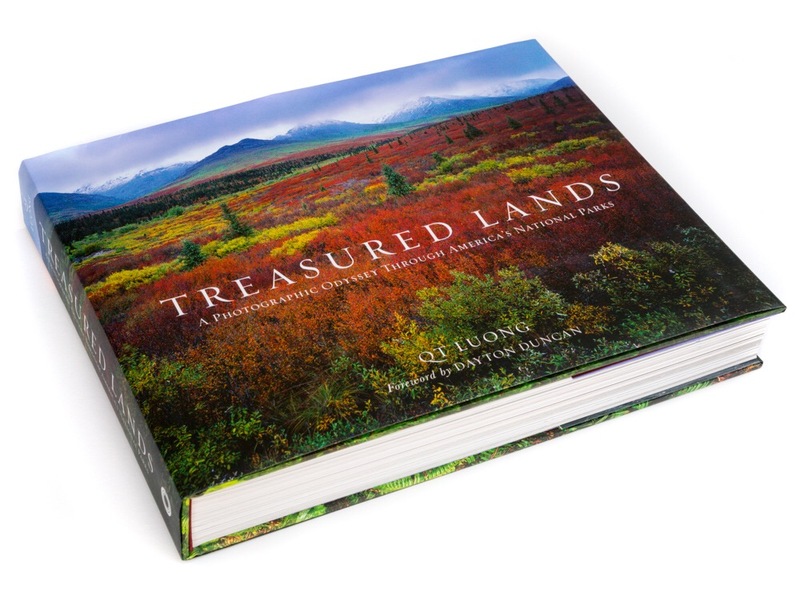 Treasured Lands: A Photographic Odyssey Through America’s National Parks is the culmination of a decades long odyssey to capture the beauty of the the parks utilizing large format cameras in the tradition of Ansel Adams and the early photographers of the parks. The result is an absolutely stunning 500+ image, 456 page masterpiece (If you don’t believe me, sample pages are available here). Along with an introduction to each park and technical information (size, location, number of annual visits), a map and location notes are included for each photo as well. Whether you’re a photographer or a fan of our National Parks, you’ll want a copy of this book in your collection. I know my copy will serve as inspiration for many years to come. The book is available directly from the author (autographed and limited edition copies are available) at treasuredlandsbook.com and from Amazon and Barnes and Noble. Note: A 15% discount using coupon code PRELAUNCH is available on orders placed directly with the author prior to October 1st, 2016.